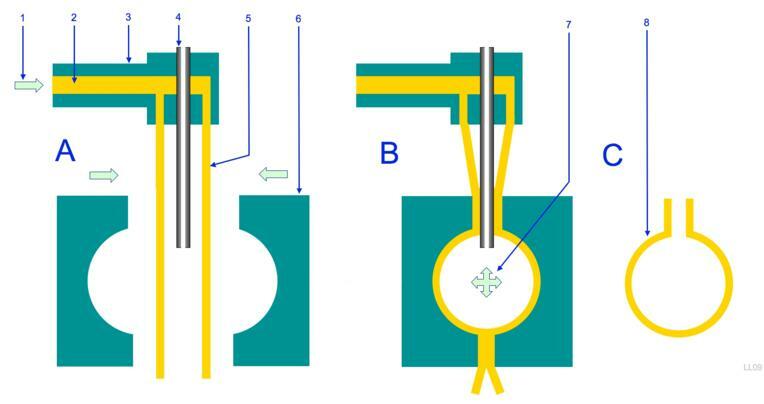 In blow molding air is pumped after pumping the molten materials into the two piece mold cavity, the combined effect produce thin yet uniform walled components. It is much like blowing the rubber balloon by keeping it inside a glass bottle. – Variety of designs are manufacturable by this process. – Lower manufacturing cost per item. – Only hollow parts can be produced. Ideal applications: Ideal for producing the thin walled plastic components like bottles, containers etc.